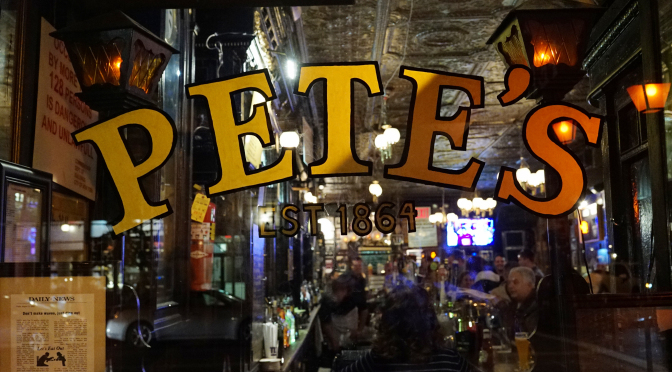 Pete’s is the oldest continuously operating establishment in NYC. 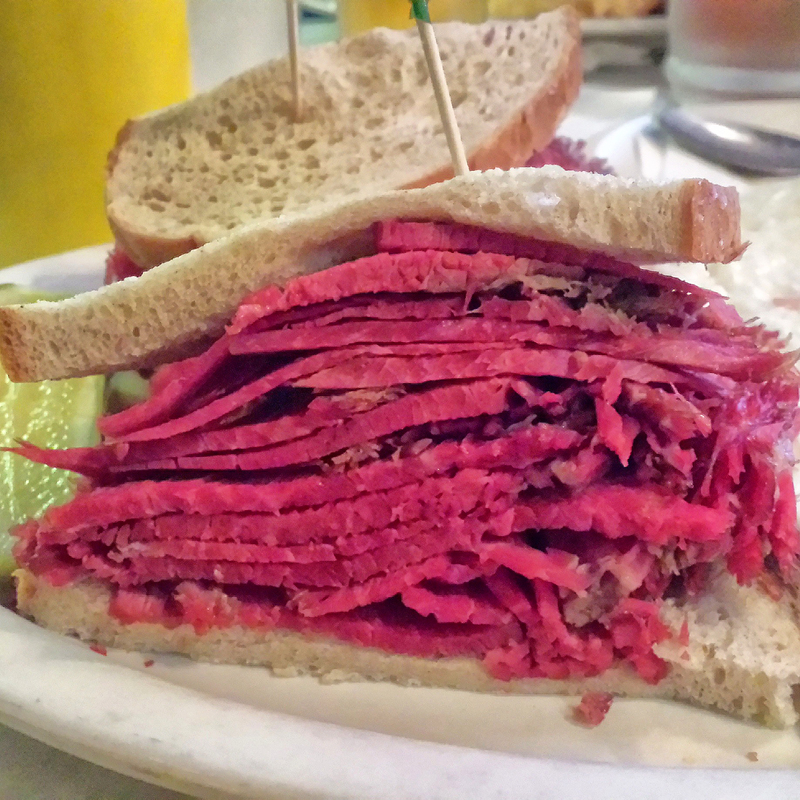 It opened in 1864 and has not closed or switched locations since. 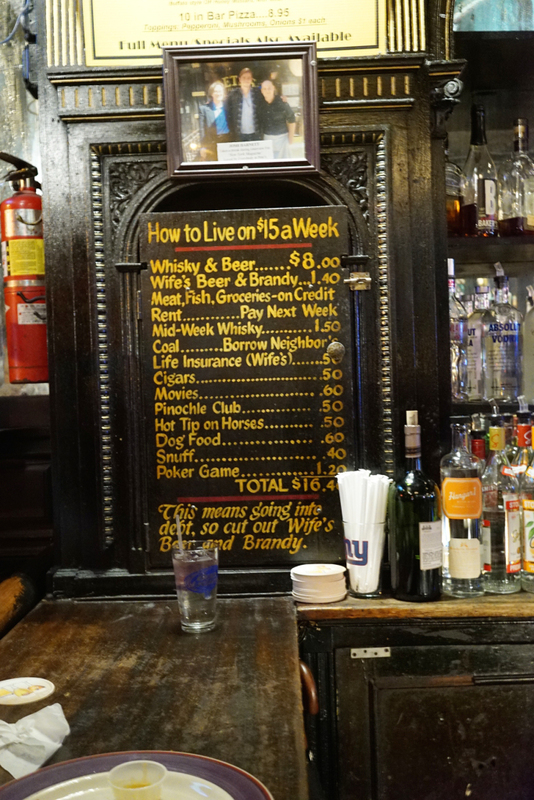 What’s cool here is that the old cashier’s cage is still right there at the end of the bar. It used to be that the cashier would sit in the cage with the money/register to be protected from being robbed. The bartender Phil was awesome too; really friendly guy, easy to talk with, outgoing and generally just made the place a great spot to hang out. 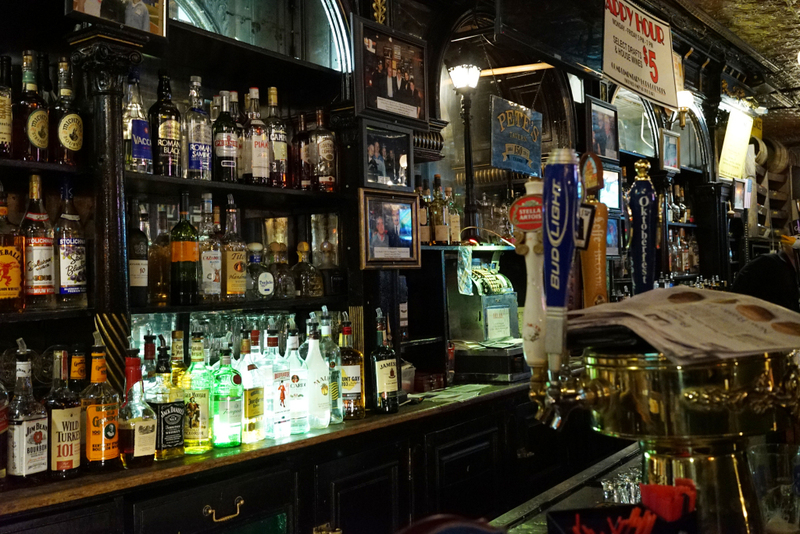 I hadn’t ever been in here before (shame on me), but he suggested coming back around Christmas time when the lights are up at the bar. Definitely. Thanks Phil! It turned out to be a bit of a let down. The meat was excellent, as to be expected, but there was not enough cheese. 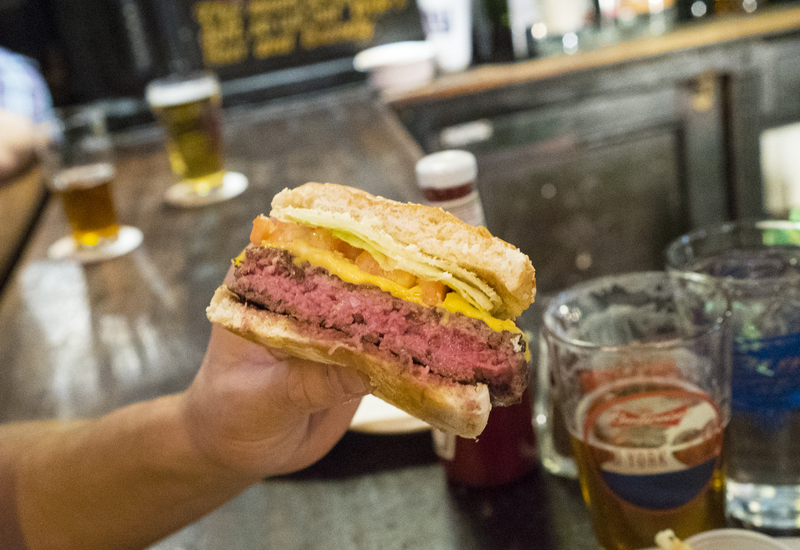 Also the tomato was sliced too thick – almost as thick as the burger patty. The waffle fries were done perfectly though. This was much better eating: definitely better than the huntsman burger. 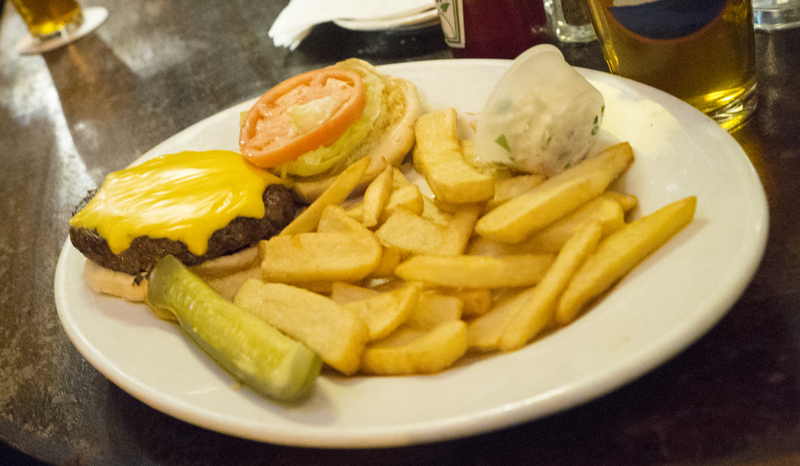 Although my buddy was a little cranked about a pricing discrepancy (bar menu on the wall that he ordered from did not match the printed menu that he was charged from), and the burger was cooked a little under how he wanted it (I would have been fine with that temp – look at it – it looks perfect! 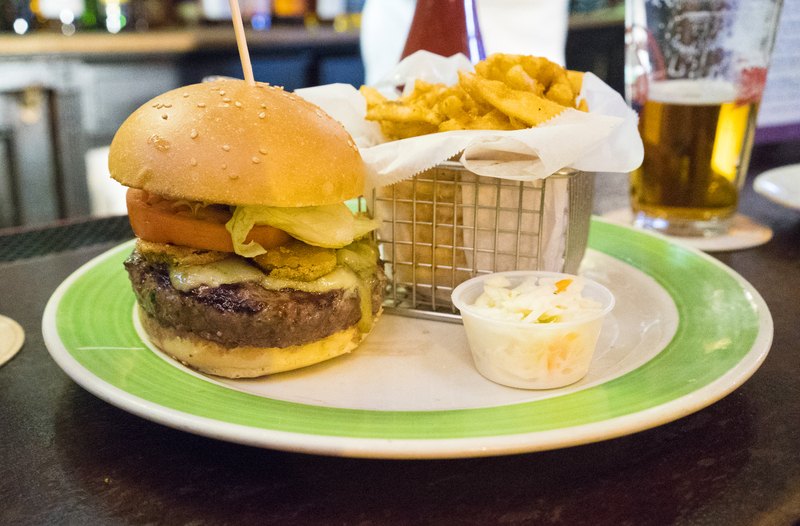 ), it was indeed a good burger. 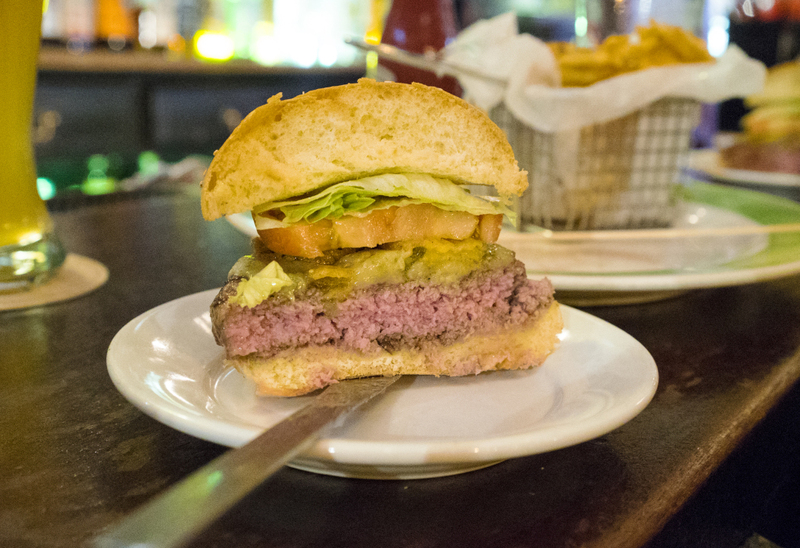 I think I would take the Old Town burger over this one though, but it was close. 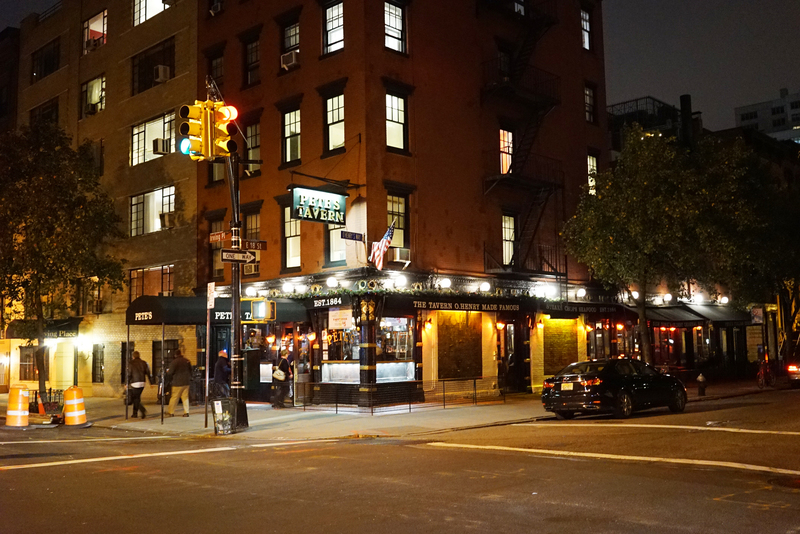 In sum, this was an amazing bar to hang out in. 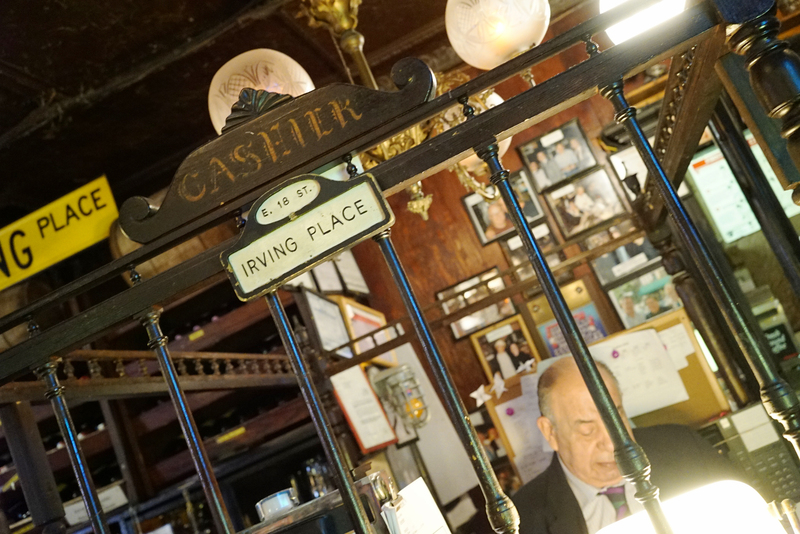 It’s an absolutely amazing piece of NYC history, and it will definitely stay that way with staff like Phil at the bar, who make the place even better.